Around 1,000 leading cadre of the regrouped Communist Party of Nepal (Maoist) agreed to pursue a strategy of “people’s revolt” against the coalition government that includes their former allies, during their seventh general convention on January 9-14. 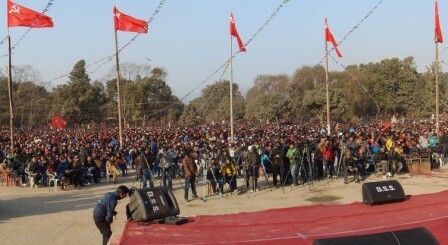 The event was the first of its kind since a radical faction of the United Communist Party of Nepal (UCPN) split last June and retook the CPN-Maoist name that the party held during its decade-long insurgency that resulted in the ousting of the Nepali monarchy in 2007. In a document released to the press following the convention, CPN-Maoist Chairman Mohan Baidya described the current coalition-led Nepali government as “puppets.” The document called for scrapping the Bilateral Investment Promotion and Protection Agreement (BIPPA) and other economic treaties with India. Critics inside and out of CPN-Maoist say such agreements go against the interests of the Nepali people and relinquish the country’s political and economic sovereignty to imperialism. Convention declarations of CPN-Maoist also included harsh words for UCPN Chair Pushpa Kamal Dahal and Vice-Chair and Nepali Prime Minister Baburam Bhattarai, describing them as “stooges of foreign powers” and criticizing them for betraying the revolution. CPN-Maoist leaders say a strategy of people’s revolt will be pursued on the foundations of the previous “people’s war.” The goal, CPN-Maoist cadre say, is a “new democratic revolution.” According to documents released by the Maoists, plans for a revolt in the Himalayan country will be carried out in secret. Immediately after the convention, Baidya publicly warned that his party will take up arms if the “rights of the people” are not ensured by the present government. UCPN Chair Dahal simultaneously assured Western monitors of his party’s desire to improve the country’s strained political and economic conditions. Mr. Dahal recently proposed an ideological shift away from the goal of a “new democratic revolution” and towards a “Nepali revolution.” According to his comrades-turn-critics in CPN-Maoist, Dahal’s recasting of the revolution’s aim is a ploy to deceive the Nepali people. The roots of CPN-Maoist go back to 1991, when the Communist Party of Nepal (Unity Centre) held its first convention and pledged to pursue a strategy of “protracted armed struggle on the route to new democratic revolution.” In practice, the party continued along the route of parliamentary struggle. 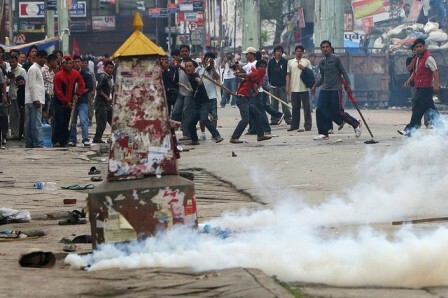 Three years later a militant faction broke away and named itself the Communist Party of Nepal (Maoist). In 1996, the new Maoist party launched its guerrilla “people’s war,” kicking off a decade-long armed civil conflict. 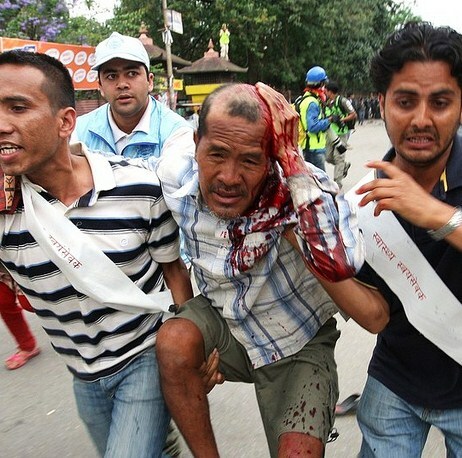 This conflict escalated after a 2001 attack by the Maoist guerrillas on Nepalese Army forces. 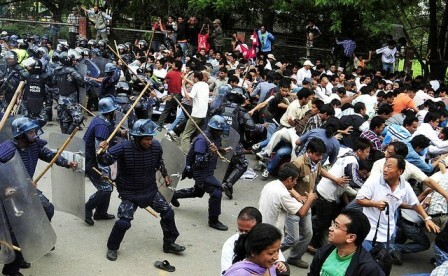 The People’s Liberation Army, the CPN-Maoist’s armed-wing, controlled a majority of Nepal’s rural territory by 2005. That same year the Maoists, under the leadership of Dahal, changed their strategy and opted for permanent peace accords while seeking a multi-party alliance against the monarchy. 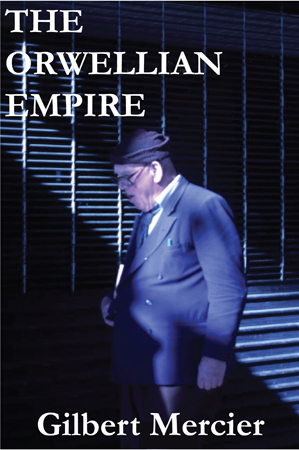 In 2006, following a general strike and waves of popular demonstrations in Kathmandu, King Gyanendra stepped down and a 240 year-old dynasty was annulled. In a bid to gain legitimacy, later in 2006 the Maoists signed the Comprehensive Peace Accords, which promised that the insurgents would lay down their arms in return for a seat in a U.N.-sponsored political process. 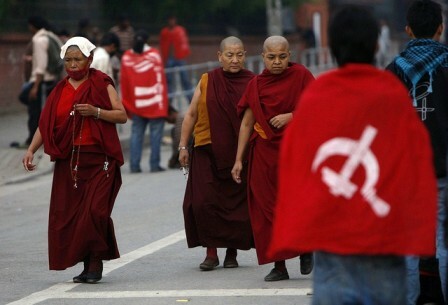 In 2009, the CPN-Maoist merged with another communist party and renamed itself the United Communist Party of Nepal. Since laying down its arms in 2006, the UCPN has achieved what many would describe as worthy goals. Both its Chairman Dahal and Vice-Chairman Bhattarai have served as the country’s Prime Minister. During the 2008 constituent assembly election, the UCPN came out ahead of all other parties and garnered 229 out of 601 seats. 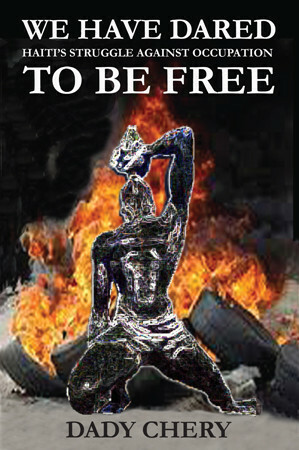 In 2012 UCPN was removed from the U.S. State Department’s list of terrorist organizations. CPN-Maoist cadre contend that these achievements do not outweigh drawbacks that include a failure to implement revolutionary changes in Nepali society. For example, the failure of the constituent assembly to write a new constitution led to its dissolution in May 2012. Now that members of CPN-Maoist have accomplished a vertical split, it is unlikely that the UCPN will repeat its electoral success during the next constituent assembly election in 2013. Besides leading to a split within his own party, the Dahal-led 2005 strategic reorientation has created tensions with the neighboring Communist Party of India (Maoist) (CPI-Maoist). A 2009 open letter from CPI-Maoist questioned the strategic turn taken by the UCPN, describing it as “right-deviationist” and “Euro-communist.” The CPI-Maoist letter also partly blamed the UCPN for causing the collapse of two international Maoist organizations: the Revolutionary Internationalist Movement and the Coordination Committee of Maoist Parties and Organizations in South Asia. Security analysts worry that the reconstitution of CPN-Maoist may once again lead to cross-border operations and relations between armed Maoist groups from both countries. The CPI-Maoist is the largest party in India behind the Naxalite insurgency: an ongoing civil conflict rarely reported in Western media. Maoist parties are also currently engaged in armed conflicts with state forces in Bhutan, Bangladesh, Turkey, the Philippines, and Peru. One of the controversies dividing CPN-Maoist from UCPN is the relationship between Nepal’s revolutionary movement and the neighboring states of India and China. While in power the UCPN has fostered close ties with the Indian state, a move that CPN-Maoist and CPI-Maoist cadre disapprove of. The UCPN, on the other hand, accuses the leadership of the CPN-Maoist of secretly meeting with Chinese state officials, a taboo within international Maoism. Maoist parties have ideologically and practically distanced themselves from the Chinese state and Communist Party since the early 1980s because, according the historical narrative followed by most Maoists outside of the People’s Republic of China, Maoist ideology was abandoned by the ruling Chinese Communist Party after the death of Mao Zedong in 1976 and a subsequent coup led by supporters of Deng Xiaoping against the Gang of Four. Though China and Nepal are neighbors, they are economically and politically cut off from each other by the mountainous terrain between them. CPN-Maoist supporters contend that any meeting between the Nepali Maoists and Chinese officials would serve to create the distance from India necessary to carry forward the revolution in Nepal. CPN-Maoist supporters argue that, since India is a key regional ally of the U.S., moves by the UCPN to further tie Nepal to India strengthen U.S. imperialism regionally and globally. Though only six months old, the reformed CPN-Maoist has managed to draw significant numbers away from the UCPN. During the week prior to its general convention alone 3,500 former cadre of the UCPN were inducted into CPN-Maoist. 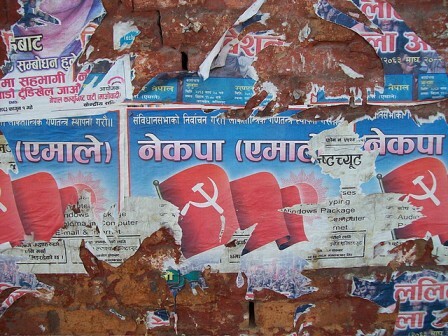 This breakaway party has also absorbed well over a dozen sister organizations created during the Nepali Maoist’s nearly two-decade-long history. Now it is up to the 51-member CPN-Maoist Central Committee to resolve how to implement the newly adopted “people’s revolt” strategy. The UCPN’s own general convention is scheduled for February 2. Editor’s Notes: Dustin Lewis is an independent writer and political analyst in the United States. He can be contacted directly at dustin.reads.much[at]gmail[dot]com. 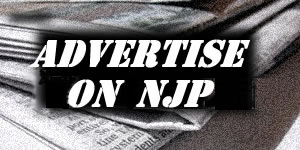 Photograph one by Basic Community News Service. Photographs two, three, six and seven by Prakash Mathena and photograph four by Gemunu Amarasinghe. 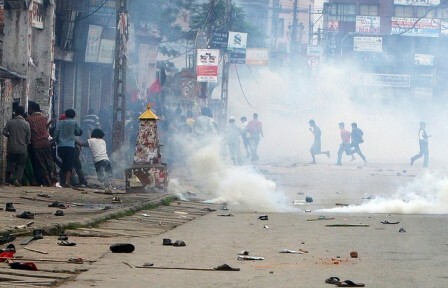 One Response to Is a New Maoist Revolution Brewing in Nepal?